As 2017 edges towards a close, The Cancer Research UK Boat Race season is officially starting. 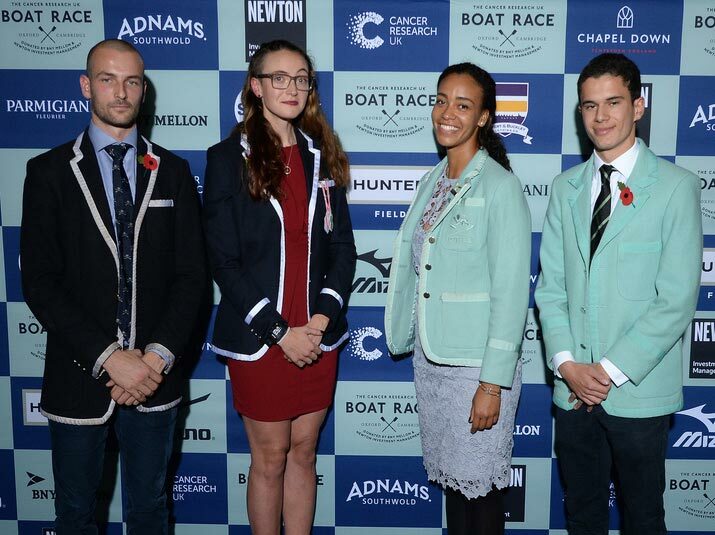 The Presidents’ Challenge, one of the showcase events of the year, happened yesterday at the Guildhall in London and was attended by athletes, partners, media and supporters of The Boat Race alike. As is tradition, the challenges were issued by the Presidents of last season’s losing Clubs. Katherine Erickson, President for Oxford University Women’s Boat Club, challenged her counterpart, Daphne Martschenko, who duly accepted. Hugo Ramambason, a returner from the losing Cambridge crew of 2017, challenged Iain Mandale of Oxford University Men’s Boat Club. Mandale, who has raced and won in the Oxford reserve crew on three occasions, also accepted the challenge. Alongside the formalities of the official challenge, which was led by the BBC’s Andrew Cotter, there were several high-profile former Blues present to give their view on the unique nature of The Boat Race season. Ollie Cook, who rowed and won for Oxford last season, was selected to represented Great Britain at the world rowing championships in Florida in September, only to withdraw due to illness. Holly Hill, who secured her first Boat Race win last year after an unsuccessful attempt in 2015, raced in the British women’s pair at the world rowing championships alongside fellow Cambridge Blue Melissa Wilson. The pair came fourth and Holly praised The Boat Race’s influence on her international exploits. All four squads are in action this weekend at the Fours Head of the River, which will be the first chance supporters get to see the athletes compete against each other. The Cancer Research UK Men’s Boat Race will take place on Saturday 24th March 2018. The Women’s Boat Race will start at 16:31, with The Men’s Boat Race an hour later at 17:31.